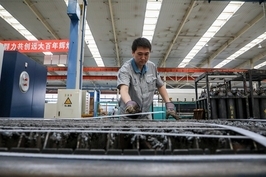 As China’s private sector suffers particularly hard as the economy slows and the flow of credit is tightened, some conservative elements — known in China as leftists — have been calling for the private sector to be curtailed and state-run enterprises to be boosted. The Chinese authorities have been trying to relieve the growing anxiety by repeatedly stating that China is committed to the market-oriented reforms that created the country’s economic success story. President Xi Jinping also reassured private firms by recognizing their contributions to economic development during a speech at a forum with delegates of private firms in Beijing this month. 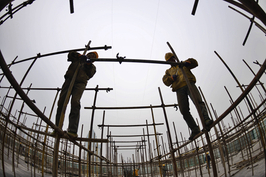 Will Xi’s comments set a new course for the development of the private sector? Will private companies soon have a better environment? The following are some insights into this heated topic from Professor Nie Huihua, deputy chief of the National Development and Strategy Research Institute at Renmin University, who has followed the development of China’s private sector for years. Caixin: Debates regarding the private sector have lasted for quite a while, with many top leaders expressing their stances. What is the significance of Xi’s discussion with the private firms? Are we going to see some concrete measures? Nie: I think some (concrete measures) will be wheeled out. This year marks the 40th anniversary of China’s reform and opening-up starting in 1978. There will be a commemoration in December, which could be a good opportunity for the central government to roll out a package of policies that favor the private sector. The development of private sector seems extremely difficult now as downward economic pressure is growing. Many reforms which could potentially boost the private sector are desperately needed today. For instance, mixed-ownership reform could extend its range to involve more state-owned firms and the equity ratio cap imposed on private participants could be raised. Moreover, many monopolized sectors that private firms are still barred from entering could expect to see further opening-up. Tax reductions could be more specific and extensive, as people have complained that they didn’t feel a big difference from tax-reduction plans. 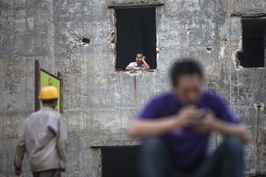 Xi slammed some recent narratives which claimed that the private sector is no longer needed. These narratives have appeared to gain some wide support recently, what are your thoughts on these narratives and what are the root causes for these comments? These narratives are classic far-left speech. I think the far-left ideology couldn’t arise in the short-term, but in effect, those ghost-like far-left ideas never disappeared. Many private firms feel insecure as economic growth has slowed down, the far-left comments just exacerbated their fears. Secondly, policies to trim production capacity and financial leverage have proved harmful to private firms, which were primary subject of these policies. Some people have started to connect the dots and think that these policies were designed to undermine private firms. Some policies are needed to be in place to counter the unwanted side-effects, otherwise, the fears will linger. The forum also mentioned that public ownership and diverse forms of ownerships can coexist. However, some studies have shown that state-owned enterprises (SOEs) may indeed squeeze the profits and market space of private companies. Do you think Xi Jinping’s speech can completely reverse this situation? 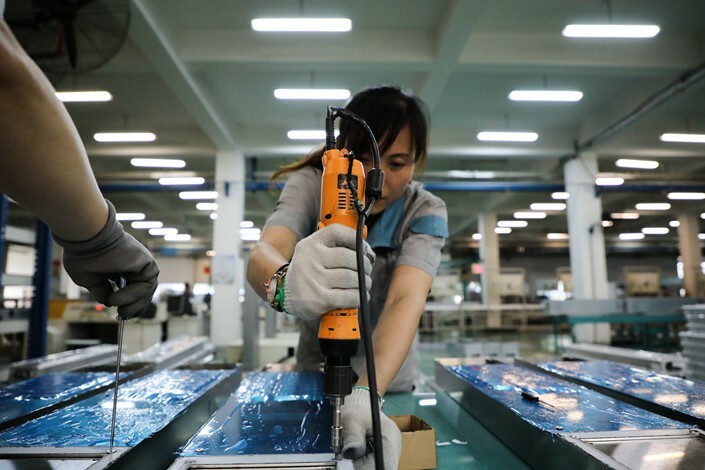 How can SOEs and private enterprises compete fairly? Cutting production capacity and deleveraging are indeed beneficial to SOEs, but, that doesn’t mean that these policies were designed to deliberately jeopardize private firms, just implementing these policies has produced more opportunities for SOEs and incurred more costs for private firms. In the short term, it’s almost impossible to change the rules of the game between private sector and SOE, they will continue to compete on an uneven playing field due to historically-entrenched reasons. SOEs have better positioned themselves on the upstream of the food chain while the private firms are mostly mid-and-downstream-positioned firms. But the government could bring more competition into the same framework, for instance, it can encourage more competition in upstream sectors by allowing greater participation of private firms or allowing private firms to take a controlling stake in upstream SOEs. Mixed-ownership reform never explicitly bans private firms from being a controlling shareholder, but in the reality, it’s very hard. Moreover, I think it’s important to stick to the rules of competitive neutrality in the competitions between SOEs and private firms, which refers to an idea that no entities should bear any disadvantage or enjoy inappropriate advantage in the market-orientated competition only due to the different natures of ownership. China’s commitment to “two unwavering” is also very important, (which refers to China’s pledge to give unwavering support to both SOEs and private firms). But that’s the objective not the means, and the rules to achieve this goal were not sufficiently addressed. Competitive neutrality can be more specific and more actionable. China could learn from international experience. I think it will be a good breakthrough point to push for fairer competition between SOEs and private firms. Are there any deeper problems which limit the sound development of private firms? The deeper problem lies with the system. The biggest concern of private entrepreneurs now is the uncertainty of policies, which always change. If we want to maintain the consistency of our policies, we should make sure that the basic principles are firmly determined. These basic principles cannot be changed. Private business owners are most concerned about two rights, one is human rights and the other is property rights. The human rights suggest that the authorities can’t punish people arbitrarily or unlawfully. Property rights mean the state needs to respect private ownership and can’t force owners to transfer their ownership to the state. These two rights are the cornerstones. The problem now is that some measures have actually shaken these two rights. I also found that whenever the extreme leftist ideology is more prominent, it's the time when private businesses suffer a setback. So if you really want to soothe the entrepreneurs, it would be better to raise the real sword against the leftists instead of issuing a lot of documents or making a lot of statements.